Are you planning a vacation with the whole family? If you are, then make sure you decide the exact destination first. Can’t decide? Then how about taking the family to Cabarita Beach. Here you will find; The Beach Cabarita sitting on an absolute beachfront location. Besides access to the pristine waters off Cabarita, the resort also offers stylish and modern Tweed Coast accommodation complete with leisure facilities such as 3 outdoor pools and spa perfect for a relaxing but fun family holiday. When it comes to attractions, you won’t be disappointed as the resort gives you access to several destinations starting with dining and shopping. Located on the ground floor of the Cabarita Beach Resort is Beach Bar and Grill. Try their delicious daily specials and enjoy a fantastic wine or take a short stroll to the village where more cafes and restaurants await. Just a short 20 minute drive is the Tweed City Shopping Centre and other local markets in Kingscliff, Tweed Heads and Pottsville. Lookingto be active during your break? The best thing to do is enjoy some outdoor adventures at Watersports Guru. Simply head to the beautiful Cudgen Creek and discover several amazing water sports and activities for everyone to enjoy. If you have kids, you can let them participate in the Junior Adventure Guru (JAG) program. With this three-hour program, the kids will be engaged in various water activities such as creek explorations, fishing, kayaking, outdoor education, snorkelling, stand-up paddleboarding, and team challenges. 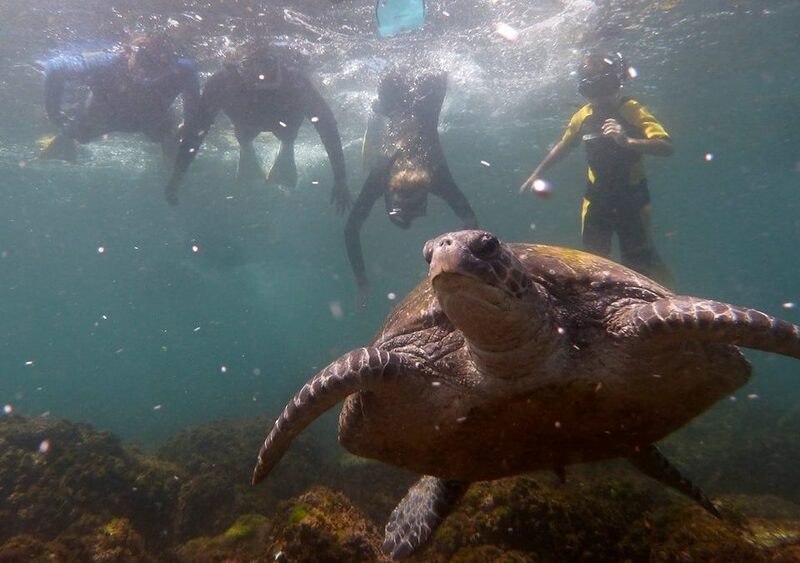 Or simply gather the whole family and snorkel with the turtles! This activity includes a 15 minute scenic boat ride to Cook Island with an amazing opportunity to see dolphins along the way; not to mention, colourful corals, tropical fish and green turtles around the island. If you haven’t tried snorkelling, Watersports Guru has a qualified instructor to guide you. Want to engage in another activity? How about trying stand up paddle boarding (SUP)? Cudgen Creek is the perfect place for this activity so don’t miss the chance to paddle board around the peaceful and beautiful surroundings. But if it’s your first time, don’t worry because they also offer lessons for all ages.